Retail packaging in large part is created from within the flexible packaging industry. Webscan barcode verifiers are an excellent solution for these products. The lasers prove to be very reliable with respect to the grading results because of the limited amount of light scatter when the printing is on foils and such.Webscan laser based verifiers will grade the quality of all linear codes currently used in retail packaging and support. UPC/EAN for retail packages, GS1 Code 128, UPCA Coupon and GS1 Data Bar coupon codes and GS1Data Bar produce codes commonly used at the cash register.On the back end of retail, our barcode verifiers will verify all symbologies common to shipping and movement tracking. Webscan barcode verifiers are both laser and imager-based… Off-line and On-line will verify barcodes used in all aspects of retail. TruCheck Optima™ For users that need to verify both linear (1D) and 2D barcodes. Multiple versions are available to your field of view and minimum x dimension requirements. TruCheck Rover For people that need to sample check several production lines since its wireless and runs on a battery. 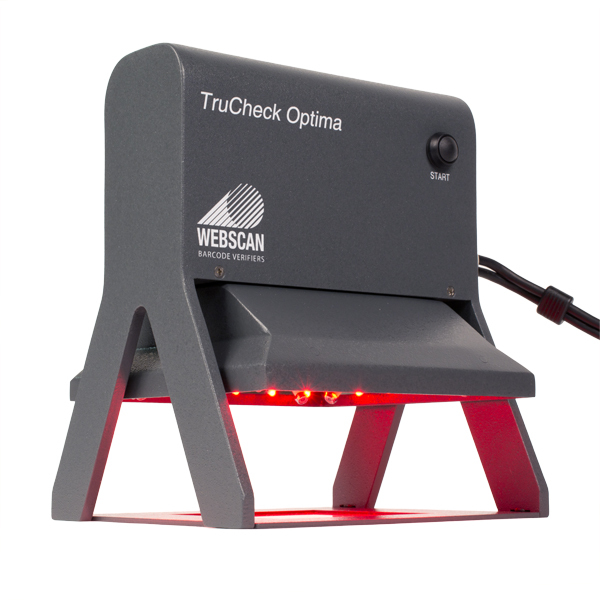 The TruCheck Rover™ has the same field of view and x-dimension as the TruCheck Optima™ but does not require a laptop connection. 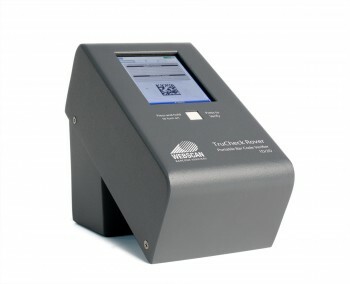 TruCheck Omni™ Verify both large and small 1D and 2D barcodes with the TruCheck Omni. 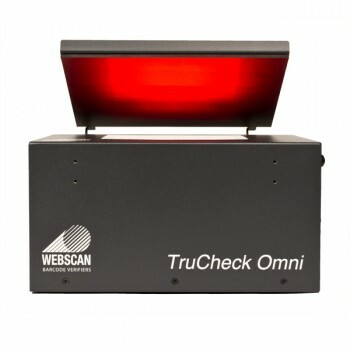 The TruCheck Omni has an extra large field of view and high resolution, assuring accuracy and precision.